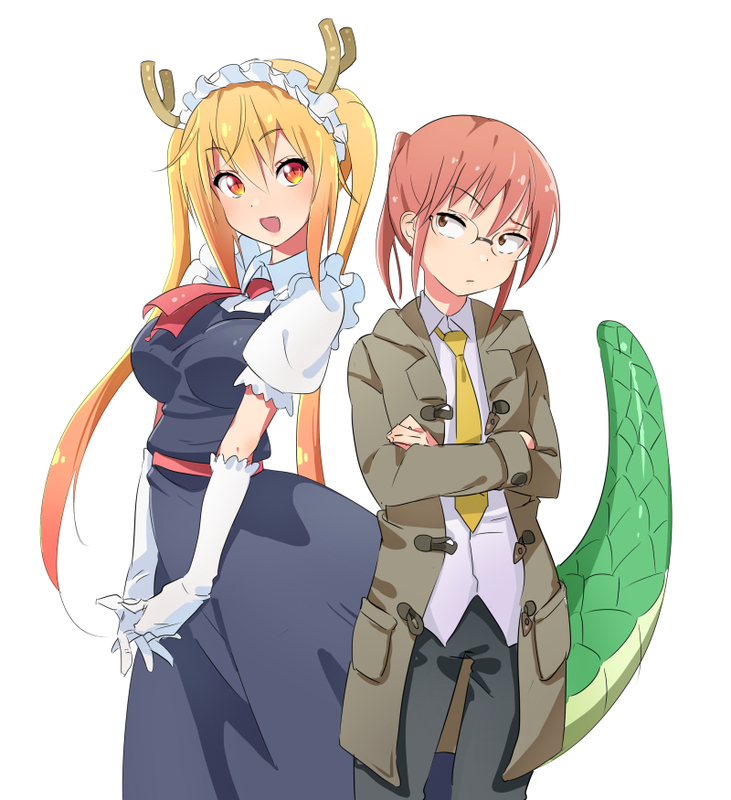 As office worker Kobayashi gets ready for work, she is greeted by a large dragon right outside her front door. 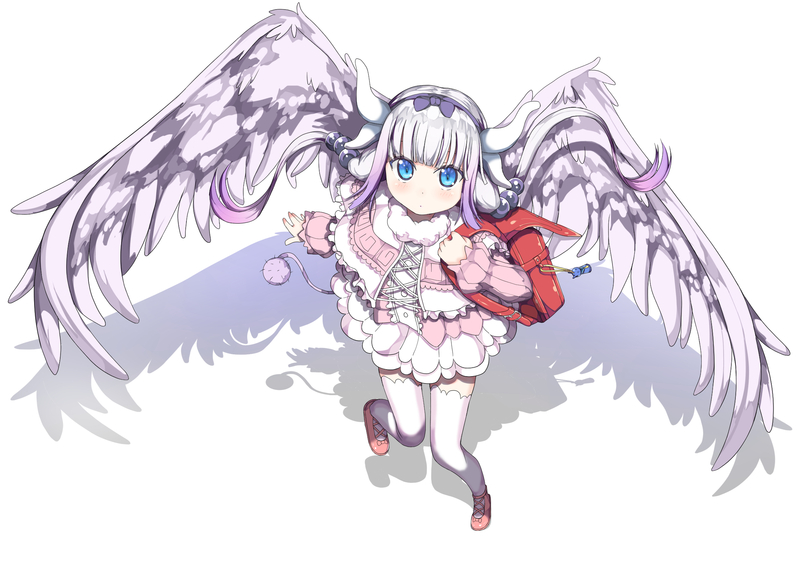 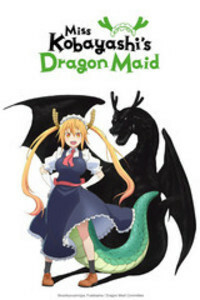 The dragon immediately transforms into a young human female in a maid outfit, and introduces herself as Tohru. 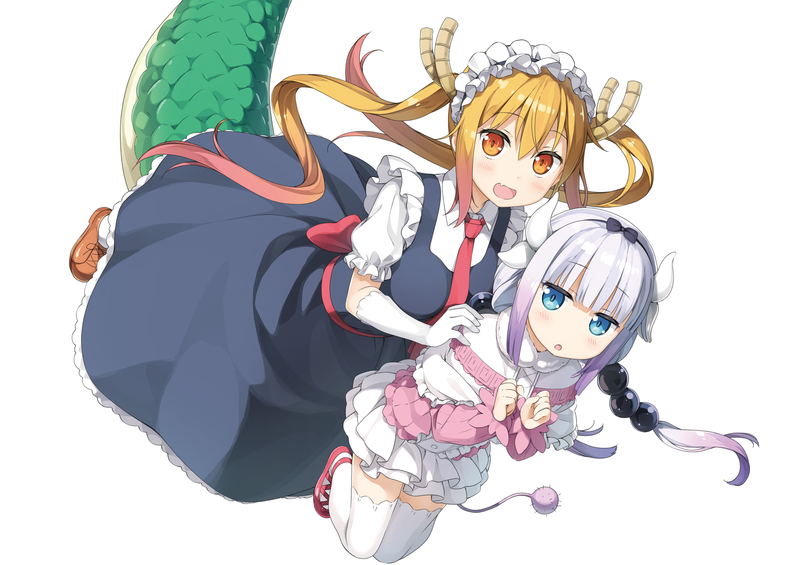 It turns out that during a drunken excursion into the mountains the day before, Kobayashi had encountered the dragon, who claims to have come from another world. 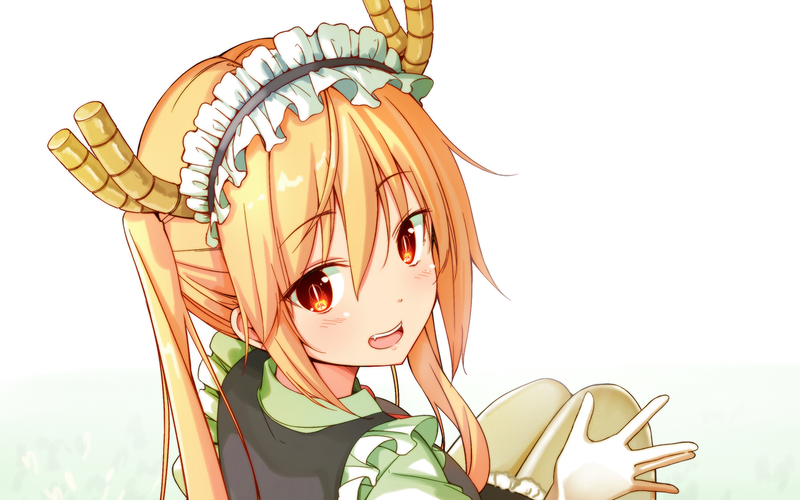 It transpires that Kobayashi had removed a holy sword from Tohru’s back, earning her gratitude. 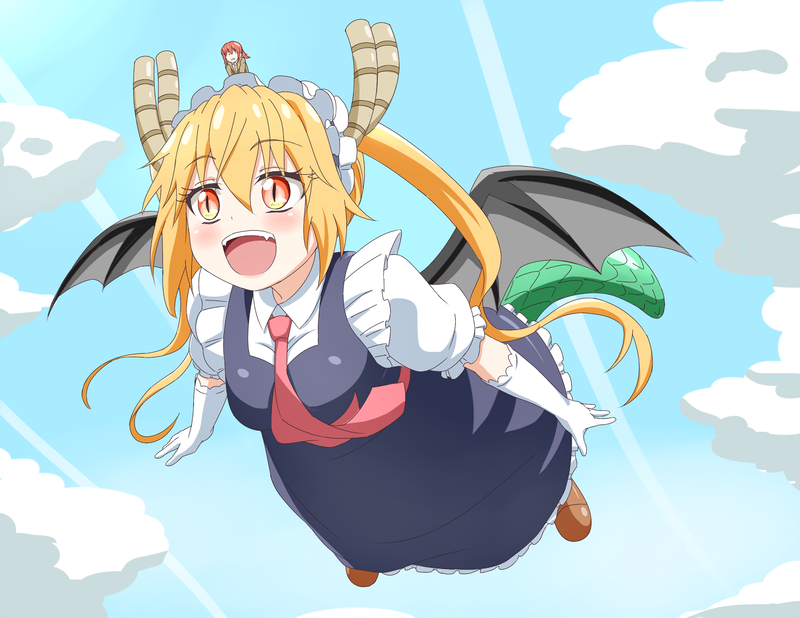 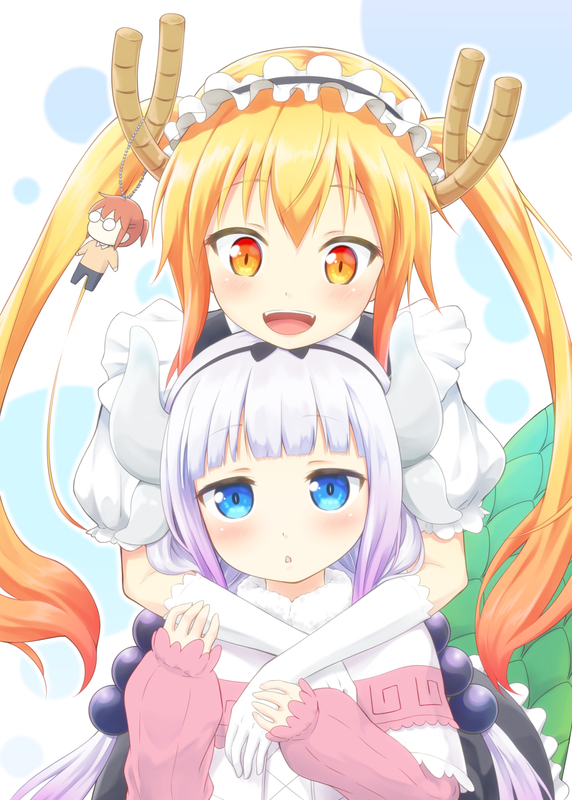 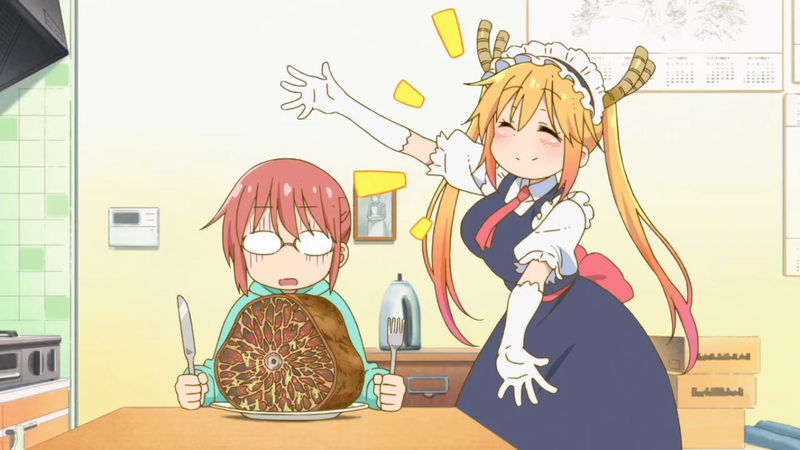 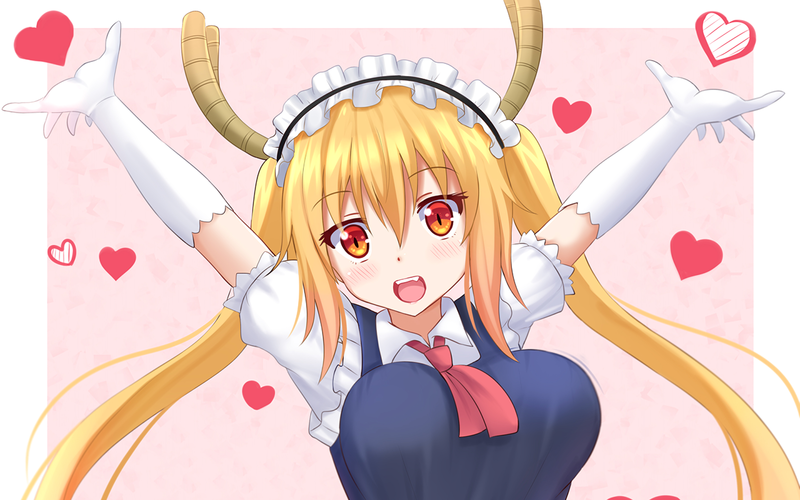 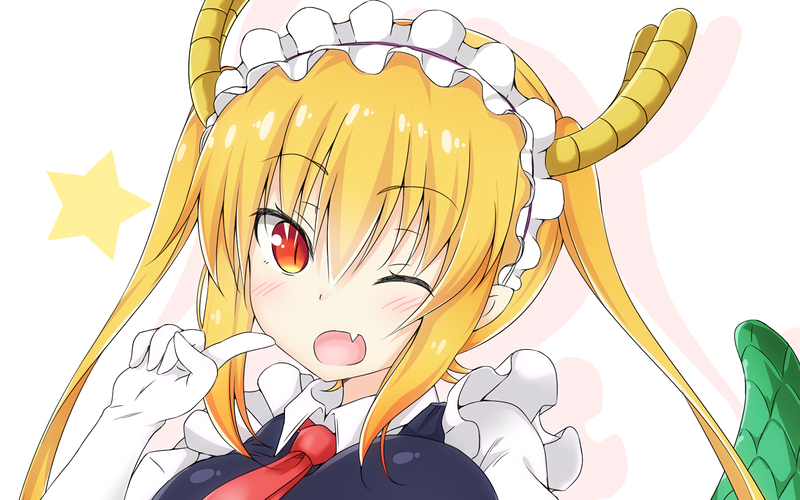 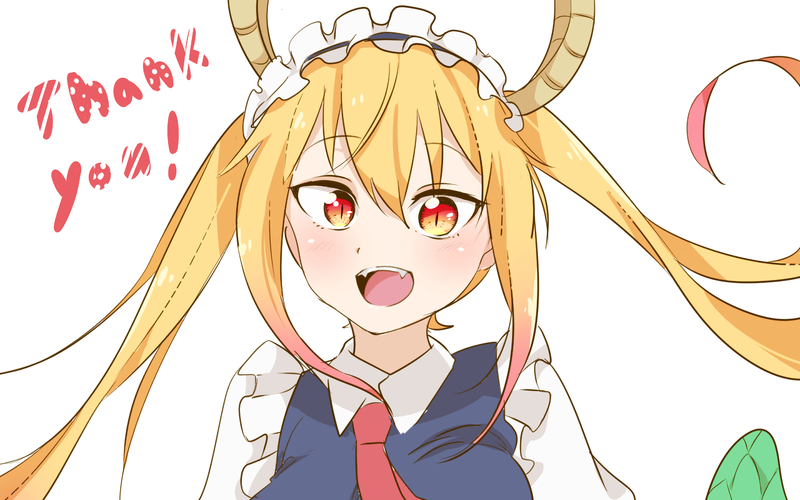 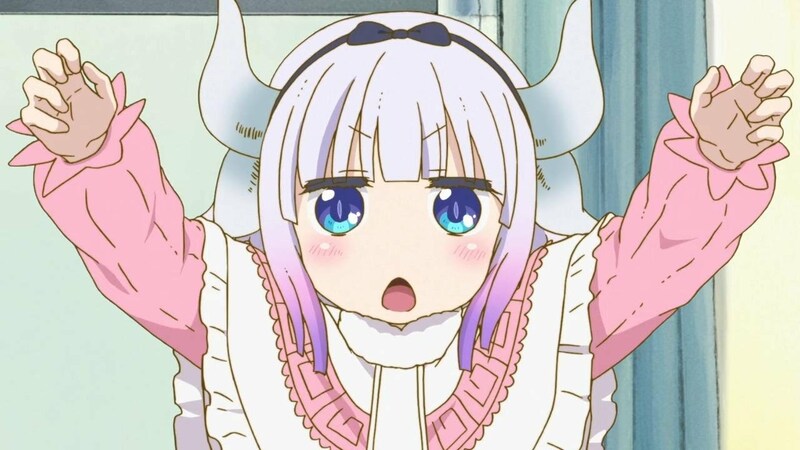 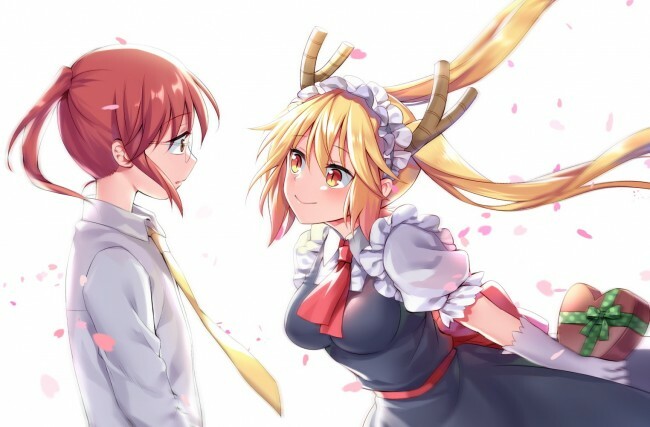 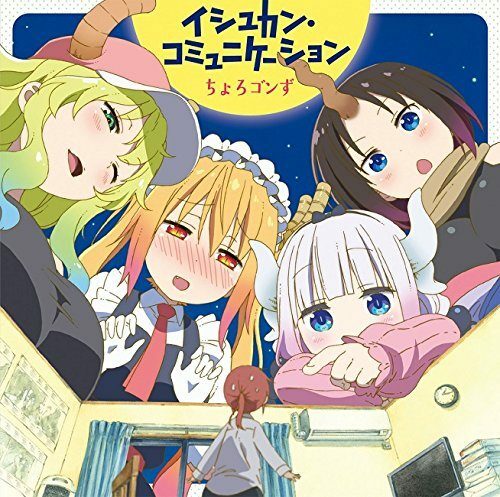 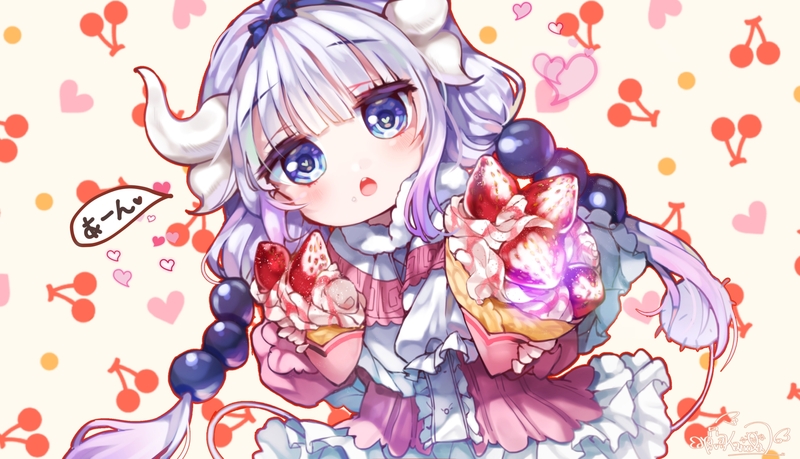 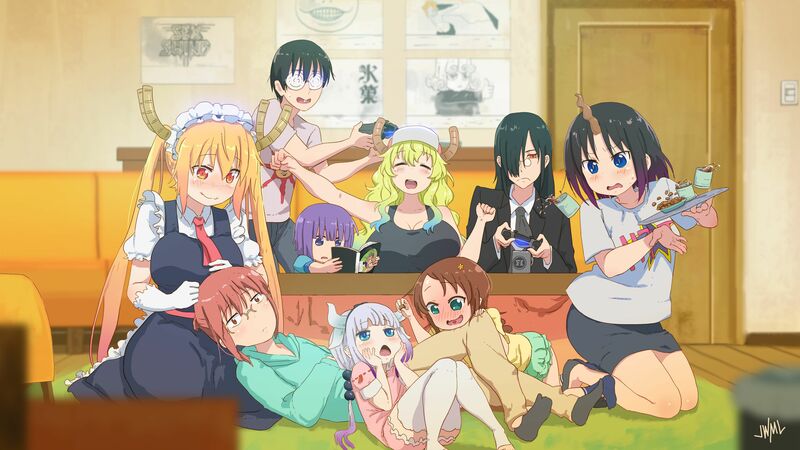 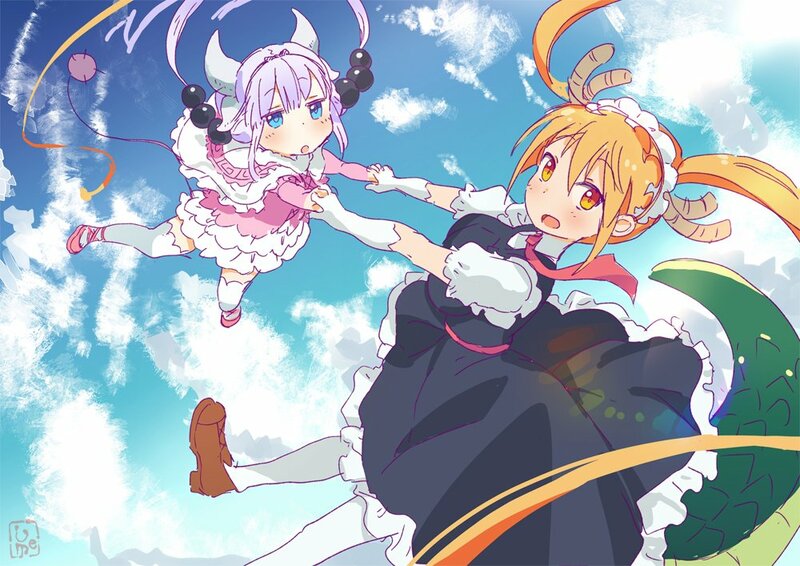 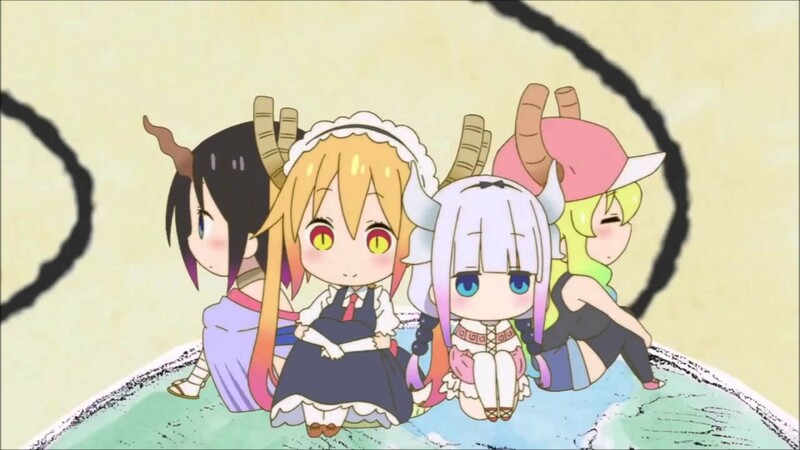 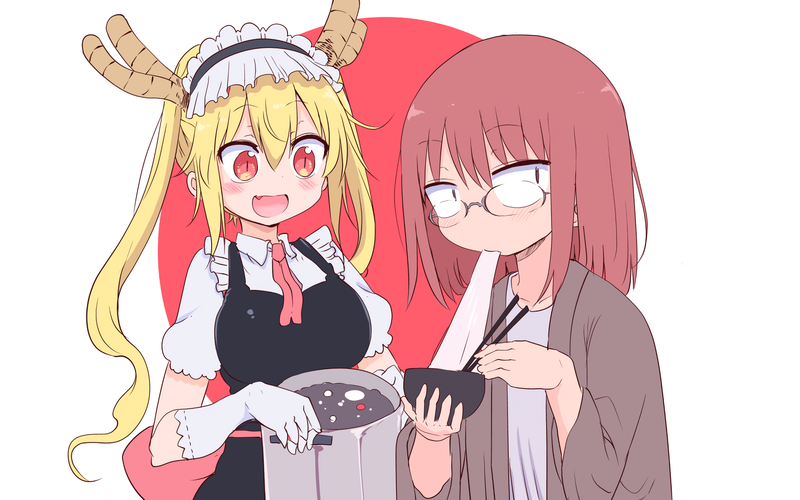 Having no place to stay, Kobayashi had offered to let the dragon stay at her home; Tohru decided to repay her kindness by working as her personal maid. 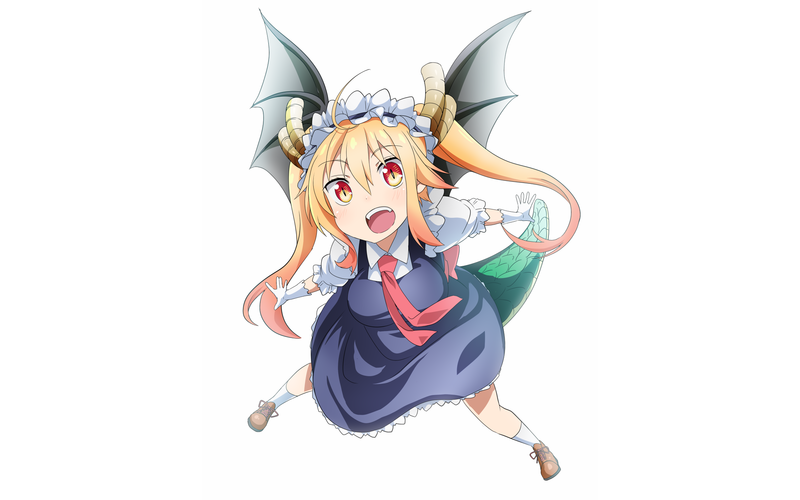 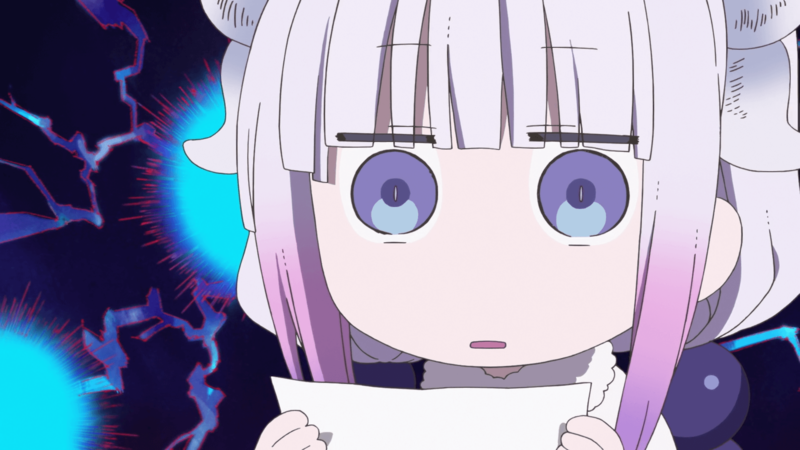 Despite initial reluctance, a mix of guilt and Tohru’s dragon abilities convinces Kobayashi to accept her. 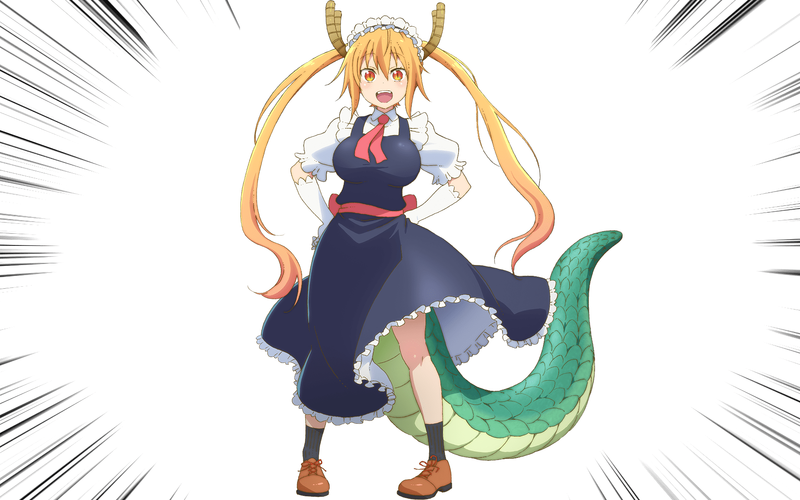 Despite being efficient at housework, Tohru’s unorthodox methods of housekeeping often end up scaring Kobayashi and bringing more trouble than help. 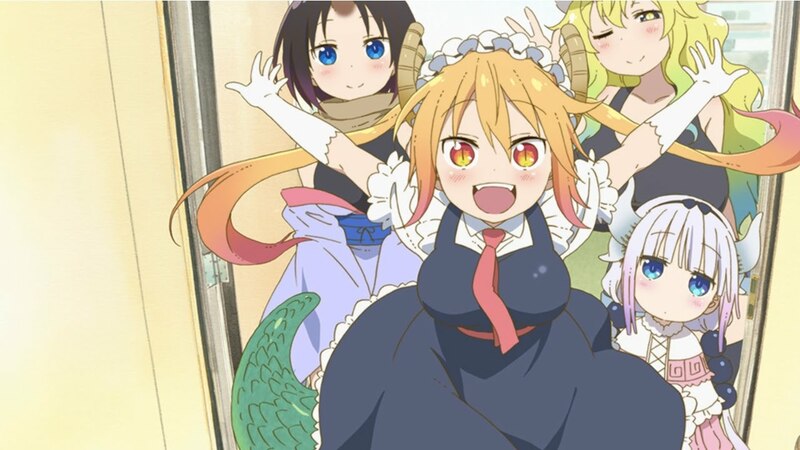 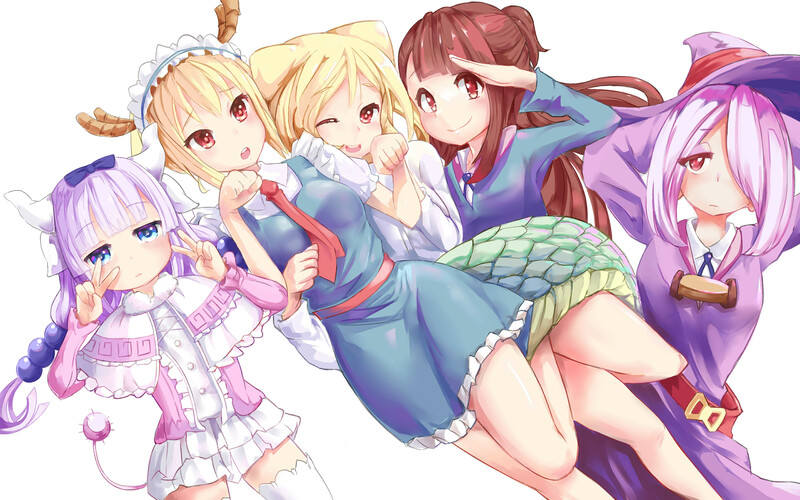 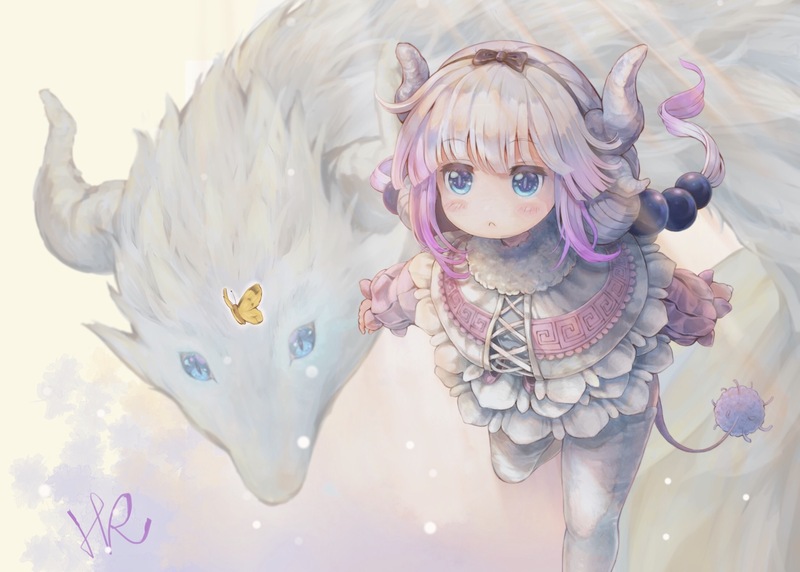 Additionally, Tohru’s presence attracts other dragons, Gods and mythical beings to her new home.